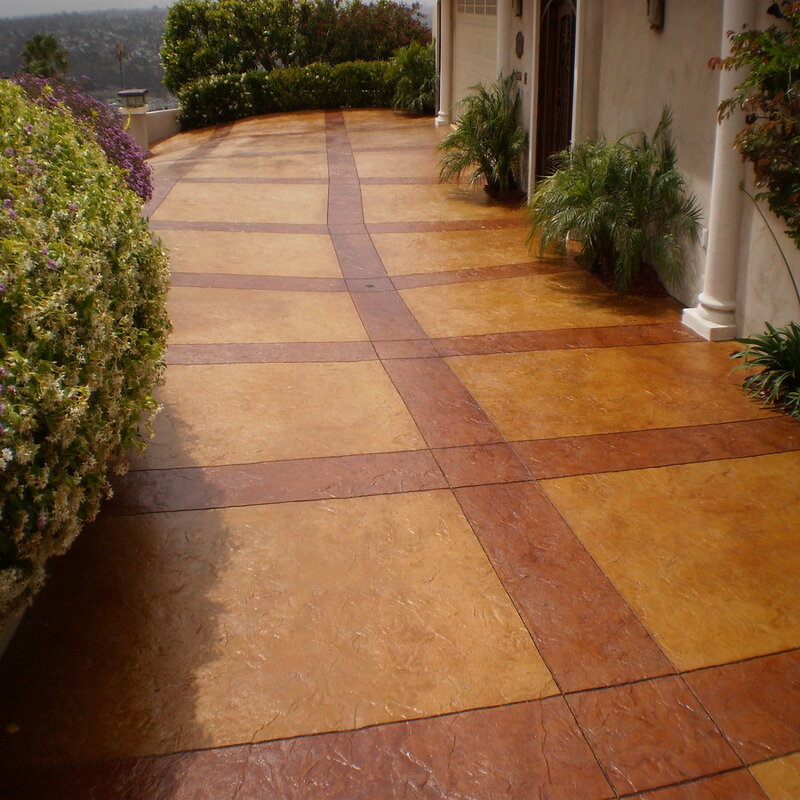 EZ Stain Terra Cotta is beautiful reddish orange terra cotta concrete stain that can be used on a variety of surfaces and projects. The darker orange with hints of red and pink color can really draw out a concrete or wood surface by taking a dirty, boring color and turning it into a bright, vibrant new area. Whether you decide to use this amber orange concrete stain for an outdoor patio area or a decorated indoor concrete floor or wall, we are certain you will find this color to be the bold statement that you are going for. For more information on the direct steps to take during the application of EZ Stain’s Terra Cotta concrete stain, please go to our How to Apply Concrete Stain page. Wow, this stuff is really easy to use… I just used it with the green and made a pretty awesome 2-toned feature. I recommend it and just bought more for my front yard! The terra cotta concrete stain worked better than I expected. Made it too light and then aded more concentrate to make it darker and you couldnt tell at all. Works great. Easy. Love it!